Road Bikes | FUJI 2018 TRANSONIC 2.3 | TRANSONIC 2.3 | FUJI 2018 | BikeShopWarehouse.com | The Fuji Transonic is the culmination of years of aero engineering in the A2 Wind Tunnel. 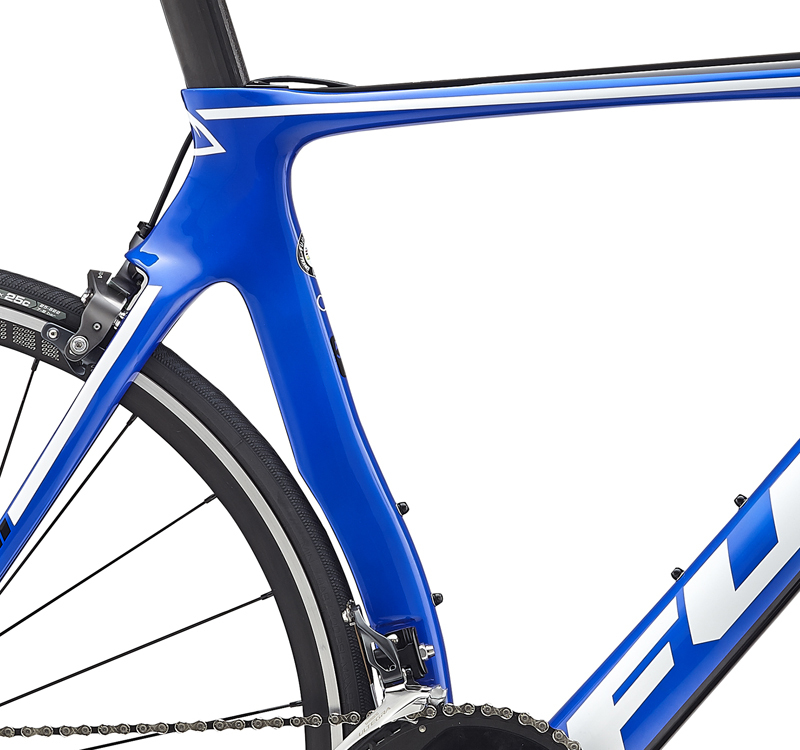 The Fuji Transonic is the culmination of years of aero engineering in the A2 Wind Tunnel. It is the epitome of all knowledge gained and lessons learned channeled into an aero road bike that is a no-compromise machine built for the pursuit of speed with control and achieved through optimum stiffness and stable steering geometry. The Transonic slips through the wind while putting every watt of power you generate to the ground to get you to the line first. • Designed using Computational Fluid Dynamics in conjunction with wind-tunnel testing to create a class-leading aerodynamic frame. • Shimano Direct-mount front and rear brakes remove the excess material of a carrier plate, allowing for better frame integration, improved aerodynamics and increased brake stiffness and control. • Headtube angle and fork offset were carefully chosen to be within the optimal range of trail adjusted throughout the size range to ensure stable steering and confidence-inspiring handling. • Asymmetrical, oversized Energy Transfer Chainstays (ETC) offset drivetrain-induced torque by maintaining lateral stiffness and displacing power more evenly through the frame. 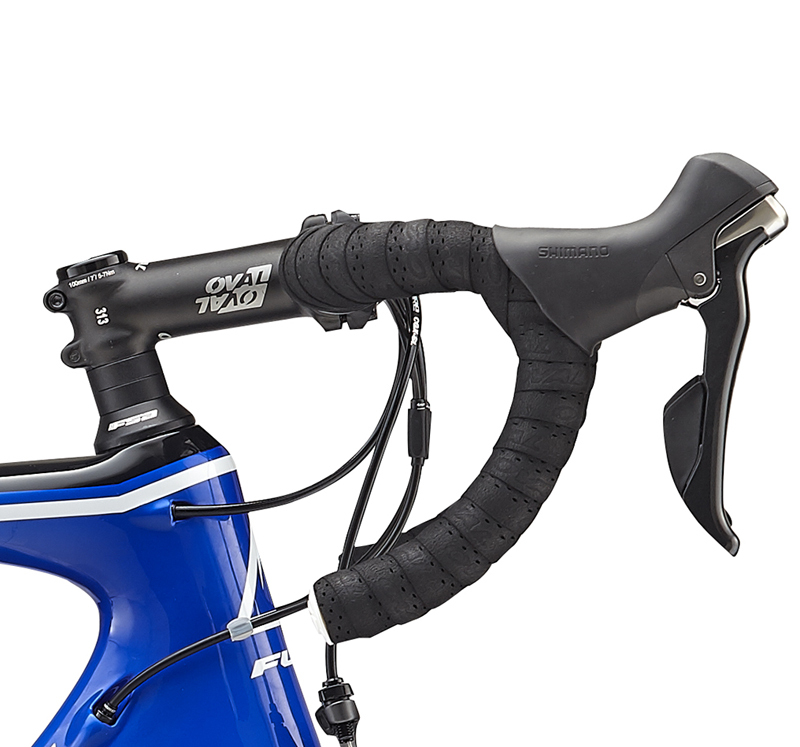 • Internal cable routing for mechanical and Di2 systems including an internal Di2 battery integrated into the seat post. 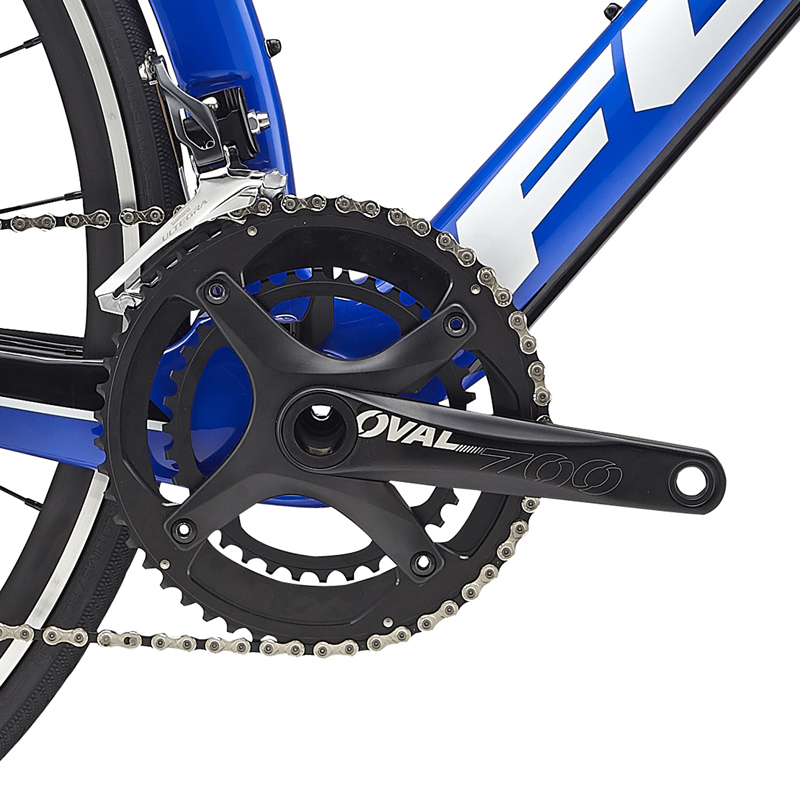 • Integrated chain watcher ensures smooth shifts without the risk of dropping the chain to the inside of the crank. 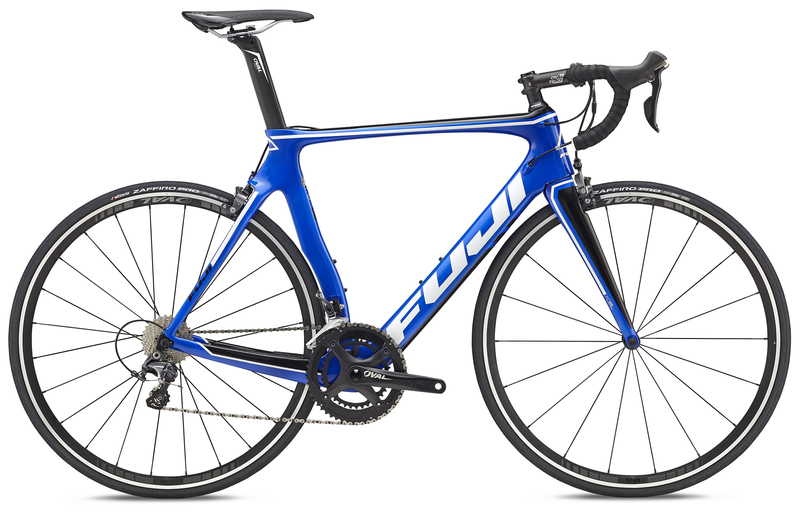 The Fuji Transonic 2.3 is designed to conquer even the toughest climbs and equipped with today's most elite technology, the Fuji Transonic 2.3 road bike is the crème de la crème of the cycling world. The Transonic 2.3 features a Shimano Ultegra 11-speed mechanical drivetrain, light aero clincher wheels and Fuji's patented, highly regarded C5 High Modulus Carbon Frame and FC-440 fork. All of these luxuries translate into the ultimate long distance ride in supreme comfort. 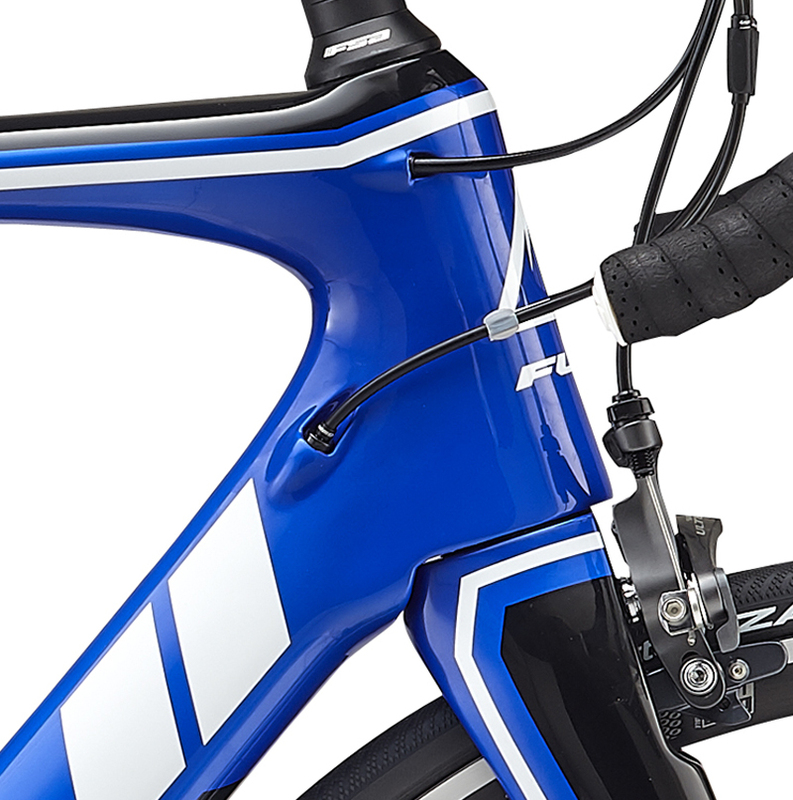 The Fuji Transonic frame has been design to help you cut through the wind. 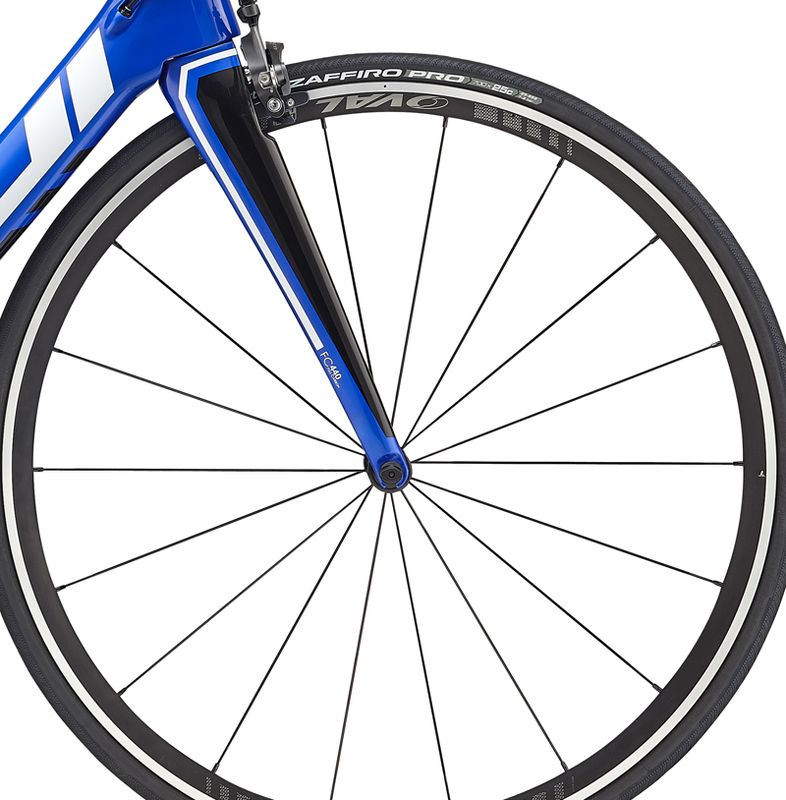 Fuji's engineers spent several years wind-tunnel testing and FEA modeling the Transonic frame to achieve the right shape to help you gain an advantage on your competitors. Shimano Ultegra features ergonomic hood and lever shapes that draw inspiration directly from the company's superlative Di2 systems. 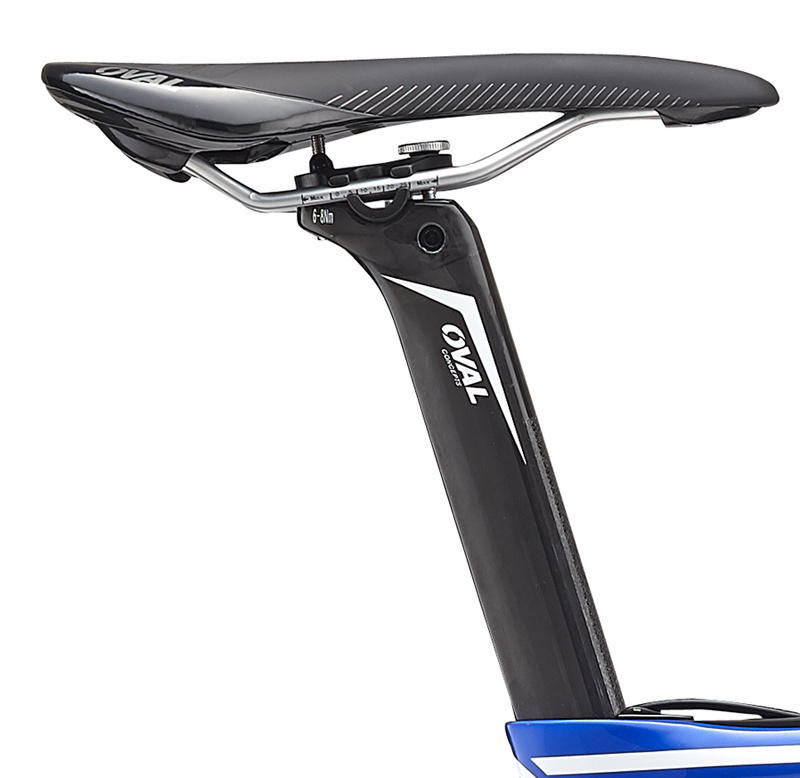 The result is a more comfortable lever that requires less force to execute a shift, thanks to decreased cable friction and improved housing. 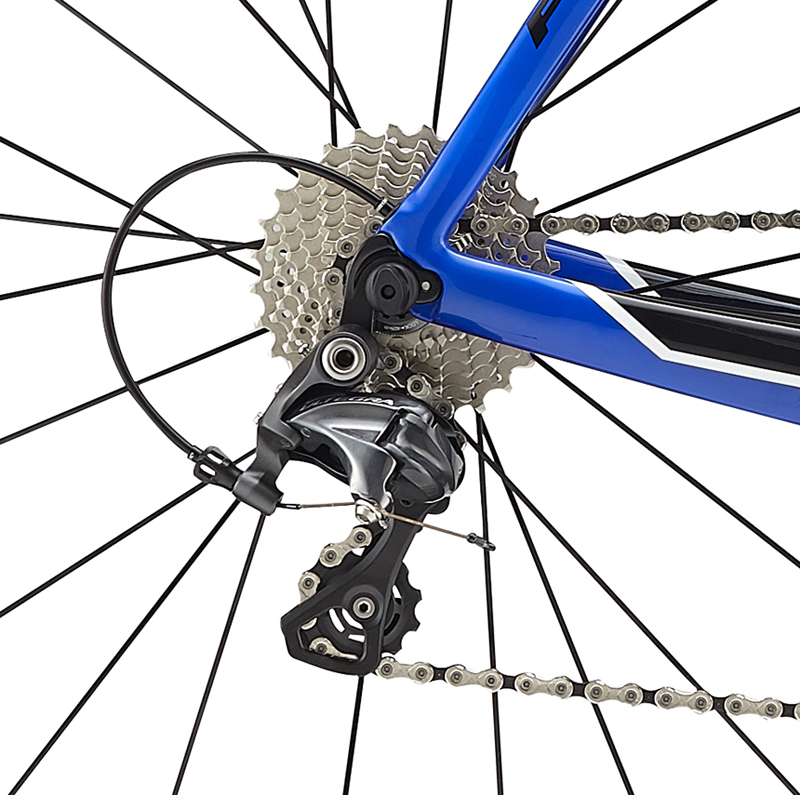 The rear derailleur is light and responsive; making shifting across the entire cassette feels easy and snappy. The Transonic 2.3 features a mid-compact 52/36 Oval Crankset and wide-ranged Shimano Ultegra 11/28 cassette. This gearing allows you to climb and descend with equal ease. 46c generally fits riders from 4'9" to 4'11"
49c generally fits riders from 5'0" to 5'2"
52c generally fits riders from 5'3" to 5'5"
54c generally fits riders from 5'6" to 5'8"
56c generally fits riders from 5'9" to 5'11"
58c generally fits riders from 6'0" to 6'2"
61c generally fits riders from 6'2" to 6'4"